The New York State Law is the plaintiff’s best friend and the carrier’s worst enemy. 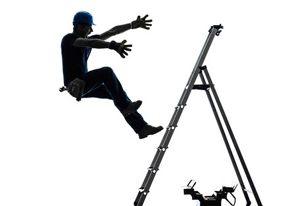 These laws, frequently called the “Ladder Laws” make home and business owners potentially liable for all manner of work-site injuries. The firm takes a very pro-active approach to these matters and emphasizes early investigation, communication and planning. We take advantage of every opportunity to defeat these matters through a combination of sound evidentiary support and timely strategic legal maneuvers. Our approach to handling these cases begins with a comprehensive initial evaluation and report to the insured and carrier. This includes an analysis of the potential liability, damages (based on the available medical records) and potential exposure. We also make certain to meet with the individual insured, personally visit the accident site, secure photographs, identify witnesses (and arrange for statements where possible) and gather as much evidence as possible in the early stages. We do not allow the plaintiff’s counsel to dictate the direction and pace of a case and our defense strategy is developed and contemporaneously shared and reported to the carrier. We have also developed and cultivated a list of reliable and litigation savvy medical experts to review records, examine plaintiffs and offer supportive testimony at trial.